Vacations are all fun and games — until somebody loses an eye overseas. Most travelers don’t anticipate experiencing illness or injury when they are on vacation, but the very fact that these events are unpredictable and often accidental is the reason they should be planned for. But how can travelers prepare for unknown bodily harm so far from home? One’s health isn’t the only thing that can cause surprises away from home; plans may shift making prepaid reservations moot, or important and expensive items may be lost or stolen. That’s why many insurance companies and travel agencies offer travel insurance. This simple, often one-time payment provides coverage for a variety of mishaps that may occur while travelers are on the move. Even when visiting Niagara Falls, just a few miles past the Canadian border, travelers are advised to consider travel insurance for the following reasons. Health care systems vary from country to country, and likely, the health insurance you possess at home will not cover you when traveling abroad. Most governments highly advocate that their citizens who wish to spend time overseas procure insurance that will cover them no matter where they go. In the United States, only the best health insurance plans will cover traveling clients. Medicare, Medicaid, and all other government-provided health insurance only applies within the country, and in most cases, within the state it is issued. Then again, private policies that do insure clients abroad may only be willing to pay for service from in-network providers, which in a medical emergency might be difficult to procure. In contrast, most traveler’s insurance plans will reimburse absolutely all medical expenses no matter what they are or where they take place. Plus, many plans will include emergency evacuation to one’s home country for around $40, when uninsured evacuees are looking at around $30,000 in costs. It is a good deal for assurance about one’s most precious possession: one’s health. Travelers come in all shapes and sizes, but generally, they can be divided into two groups: those who enjoy opulent, well-appointed vacations and those who would want a luxury suite like they’d want a hole in the head. Generally, the latter group doesn’t spend very much of their budget with reservations — but the former group does. Deluxe accommodations, meals, and activities generally require some sort of deposit which travelers will lose if they modify their itineraries in any way — unless they opt for travel protection, a regular part of travel insurance. Plans change — the motto of frequent travelers — and reservations at fancy hotels or attractions can be expensive to simply cancel. Travel insurance allows travelers to be as flexible as possible while still being organized before their plane departs. Even though airlines are legally required to reimburse their customers for lost or delayed baggage, most travelers don’t have any form of luggage protection after they leave the airport. Luddite nomads who move from place to place with naught but the clothes on their backs may not be concerned about theft or damage to their personal property, but most people nowadays travel with quite a few expensive items, including computers, smartphones, and designer clothing and accessories, that would be exceedingly costly to replace. Travel insurance can provide the security of coverage for not only travelers but their possessions as well. Generally, life insurance is seen as a responsible and caring investment, while travel insurance is potentially a waste of hard-earned cash. Yet, when the future health and happiness of a traveler’s loved ones is at stake, travel insurance is as sensible as life insurance. Some travel insurance companies are so thorough as to offer limited life insurance packages to travelers. In the event a tourist is maimed or killed overseas, his or her family members will receive a specified amount in reparation for the loss of life (and potential income). This is beneficial because many life insurance policies do not extend to deaths occurring outside the country, which will make any unexpected passing even more painful to financially stressed family members. If readers should take anything away from this article, it is that accidents can happen anywhere, and if Murphy’s Law is accurate at all, accidents are more likely to happen during travel. 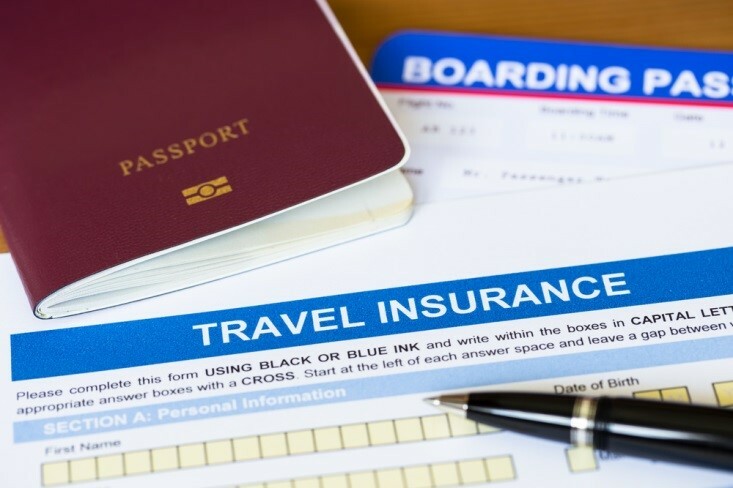 Thus, to ensure safety and security of one’s person and personal effects, travelers should always, always, always purchase a travel insurance package.